It was late heartache for Leeds United as a Kasey Palmer goal ensured Derby County a share of the spoils at Pride Park. 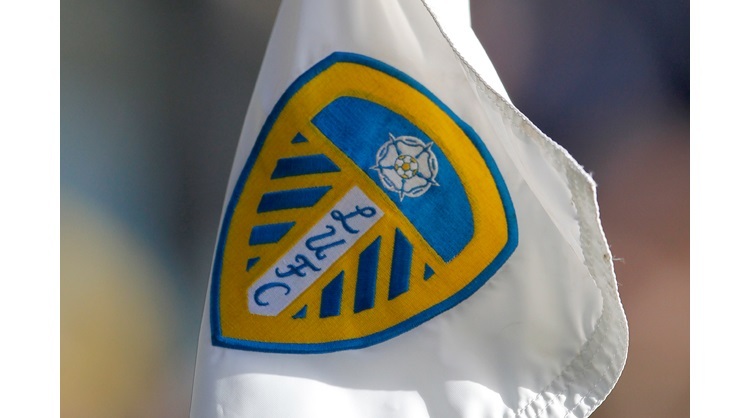 Whites head coach Paul Heckingbottom made four changes to his side for the trip, Liam Cooper, Gaetano Berardi,Ronaldo Vieira and Kemar Roofe all coming into the starting line-up, whilst Samuel Saiz was named on the bench after a six match suspension. The hosts had the first chance of the game when Tom Lawrence let fly from 25 yards, but his shot was too high, before Pablo Hernandez saw a volley well blocked from the edge of the box. Derby went close from a corner, Lawrence’s cross went right across the face of goal, but Matej Vydra couldn’t get a vital touch to poke home. It was the hosts who then came close again when Gaetano Berardi lost possession, Lawrence whipped in a lovely cross, but David Nugent could only head wide. From another Lawrence corner, Felix Wiedwald tipped away the cross which was heading on target, before Tom Huddlestone shot into the side netting from a narrow angle. The very next attack saw Andreas Weimann latch onto a fine through ball from Joe Ledley, only to see his lobbed effort land on top of the net. It was Leeds who took the lead though in the 34th minute. Cooper picked out Stuart Dallas on the right wing with a long ball forward and his cross found Pierre-Michel Lasogga who headed home. Lawrence then came within a whisker of equalising, his shot from 25 yards hit the crossbar before Nugent fired the rebound over, but he was flagged offside. Derby did get the equaliser though before the break, when Weimann latched onto a backward Cooper header and fired home from 10 yards. Derby had the first chance of the second half, Lawrence crossed and found Nugent, but he could only head straight at Wiedwald. Tom Huddlestone then saw a shot deflect wide, before Marcus Olsson saw a volley go wide of the post. Weimann then broke down the right and did well to pick out Nugent with a pull back, but he couldn’t find the target to put Derby in front. Lawrence then tried his luck from the edge of the box, but Wiedwald made a super save to deny him. Next it was Leeds to go close, Cooper met Pablo Hernandez centre but couldn’t keep his header down. Eleven minutes from time, Leeds regained the lead when two of Heckingbottom’s substitutes combined. Saiz broke and played Alioski through on goal, he saw his first shot saved but headed home the rebound into an empty net. However, Leeds were unable to hold on, a corner in added time led to a goal mouth scramble and Derby substitute Kasey Palmer prodded home an equaliser, to deny the Whites all three points.